Kipapa Student Council will be hosting a Canned Food Drive to support the Hawaii Food Bank. The collection will be held from April 22-25, 2019. 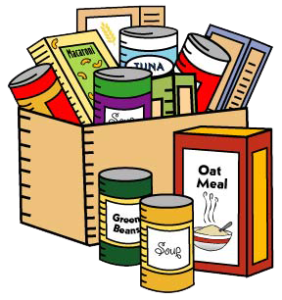 Your donations may include canned products such as meats, soups, fruits, and vegetables. Cereals, noodles, rice, and dried beans are also appreciated. Thank you for your support of this meaningful community service project!